and Why it will keep your eyes healthy? We all at some point of our life have heard people telling us to avoid using too much of the laptops and phones but sadly, we never pay much heed to why they are saying this to us and what’s the reason behind it. The thing is that our monitor screens are continuously destroying our vision and the sooner we realize this, the better it will be for us. 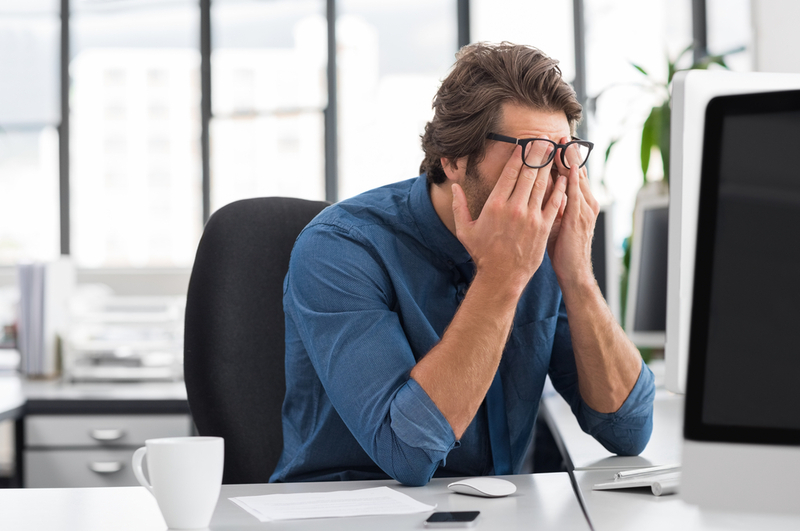 Using computer or phone all day is seriously horrible for your eyes and it can cause a lot of damage to your optic nerves. Eyes are considered to be the most sensitive organ of our body yet we don’t take care of them but now it is high time that we all start caring for our eyes and our vision or else just like other people, we will also end up wearing contact lenses or glasses for the rest of our lives. This is the age of technology and there is no doubt in the fact that internet has taken over the world. Now, in such a situation, we won’t suggest you quit using laptops and phones because they are now a necessity in our lives. However, there are certain rules that you can follow in order to keep your eyes safe. The first and foremost thing that you have to do is to follow the 20-20-20 rule. All you have to do is to look away from your screen after every 20 minutes and them stare at a fixed point that is 20 ft away from you. You have to keep staring and stay focused on that point for 20 seconds. This practice will actually help your eyes relax and you will be saved from the continuous strain. 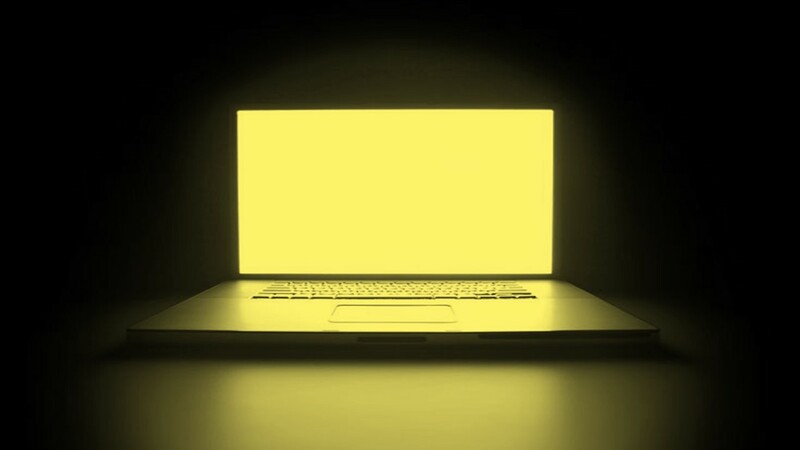 Some of the monitors allow you to adjust the color temperature manually and if you have such a computer then the best thing to do is to use a warmer, yellowish color temperature when it’s dark around you. When you are using the screen in the daytime when there is light all around you then you need to shift to a colder, bluer color temperature. It’s simple, you just have to keep the color temperature cooler in the morning and warmer at the night so that you don’t feel much strain and stress on your eyes. Now, if you are someone who genuinely cares about his eyes and is worried about his vision then the best gift you can give to your eyes is to use a blue light filter on your screen. One of the best blue light filter to date is none other than the Iris. 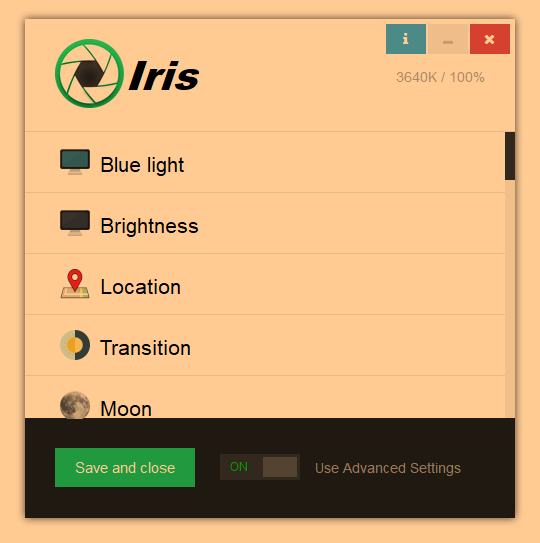 Iris is an exceptionally intelligent software that will help regulate the light coming out of your screen by identifying the light around you. 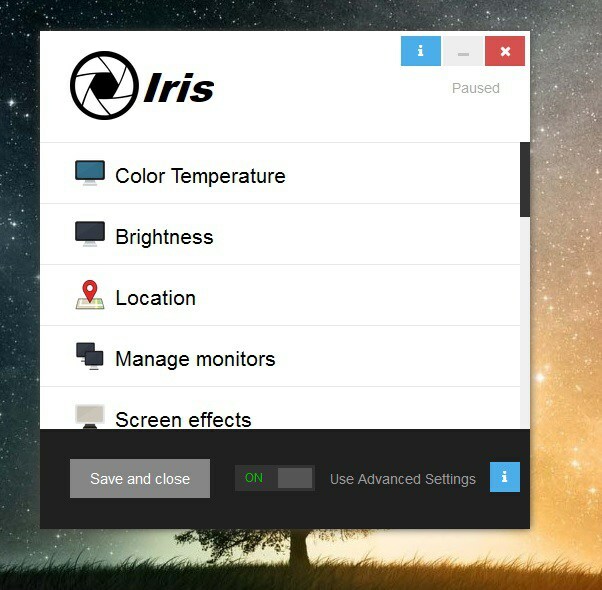 Yes, you read it right, Iris will automatically adjust the blue light of your monitor when it’s dark around you and when it’s light around you. This software is built for the sole purpose of protecting your eyes from the dangerous light being emitted from your monitor and phones screens. The best part about using Iris is that with it, you will be able to get a good night’s sleep and there won’t be any stress or strain that you will feel on your eyes and your nervous system. 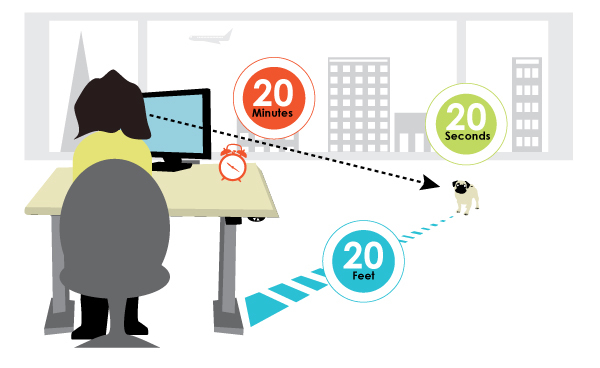 For a while imagine using our laptop all day long yet not feeling any stress or heaviness? Isn’t it amazing? Well, if this does sound amazing to you then you need to install Iris right at the moment and we promise you that you will love it.